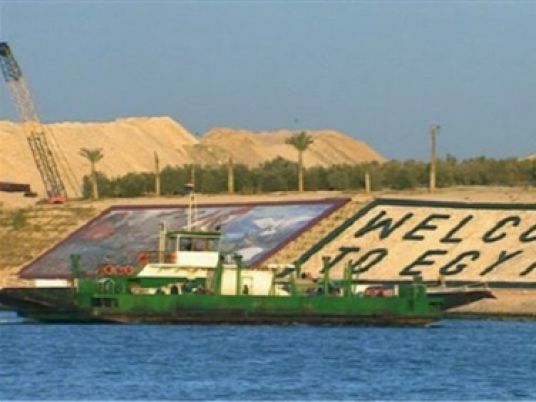 Suez Canal Authority Chief Mohab Mamish said 67 ships passed through the Suez Canal on Sunday carrying a total load of 3.8 million tons. Thirty-three ships passed from the north side carrying 1.9 million tons, while 34 ships passed from the south side carrying the same weight. In remarks on Sunday, Mamish said he was pleased about the huge number of ships passing through in one day and added that the canal is able to receive ships carrying heavy loads, especially after opening of the new canal. Mamish also offered thanks to all workers for their success in dealing with the different weather conditions. Coming from the Netherlands and heading to Singapore, container ship MSC INGY, under the Liberian flag, was the biggest ship passing from the north carrying 200,000 tons, he said. The largest ship coming from the south was the Danish MAERSK travelling from Malaysia to the Netherlands.